Podiatry is a field of medicine that focuses on the treatment, prevention, and diagnosis of issues relating to the foot and lower leg. Issues with nails, corns, and calluses. These issues affect your feet, ankles, calves, knees, hips, and the lower back. Podiatrists ease and eliminate the problems in these areas. They can also provide you with custom orthotics, insoles which support your arches, relieve pressure, and stop pain. The foot is the foundation of the body, as such, it takes a huge amount of punishment, all the standing, sitting, walking, running, dancing, and exercising will wear down even the strongest foot. 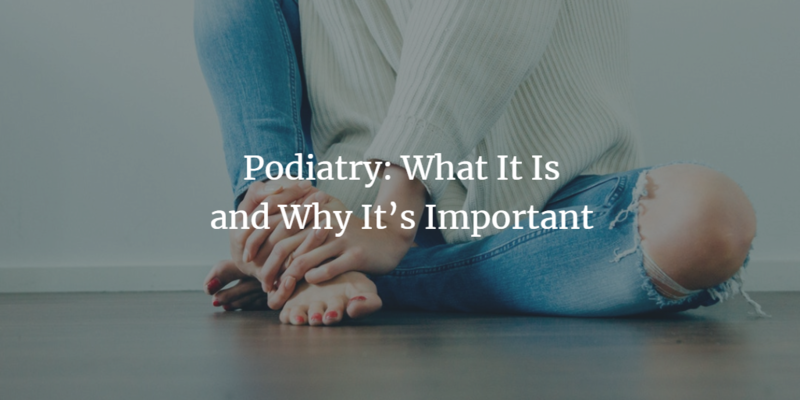 Making a routine visit to the podiatrist can prevent issues, relieve pain, and makes sure your feet are comfortable and ready for the day.